The world’s best cake artist, who has baked for Hollywood stars including Jane Fonda and Demi Moore, is just one of the many talents on show at this weekend International Cake Show Australia at the Brisbane Showgrounds. Karen Portaleo, from the USA, is the most awarded and recognised cake decorator in the world. She has a long list of high profile clients and has appeared on Food Network’s Cake Challenge, Halloween Wars and Cake Wars, winning all but one. Karen created a mystery masterpiece over the course of the three day event and will also judge the International Cake Off Challenge featuring six of the world’s best decorators, including Paul Bradford from Scotland and Dorothy Klerck from South Africa. International Cake Show Australia’s has 5,000 expected visitors who are sure to find the life-sized Alice in Wonderland exhibit just as impressive. It took a group of five professional cake artists around five months to create, using 130kg of fondant. 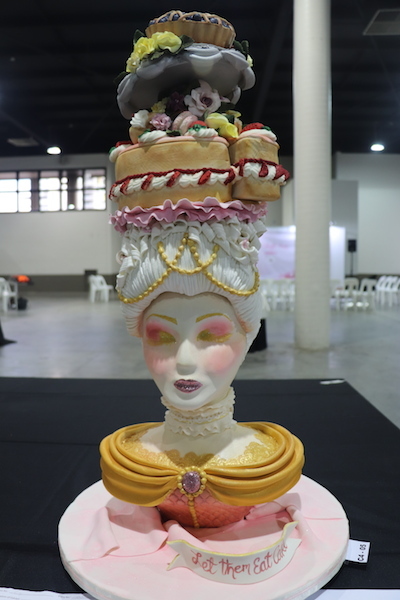 Brisbane Showgrounds General Manager of Venue Sales and Marketing Jago Coyle said they were thrilled to have the event, run by the Australian Cake Artists and Decorators Association, back for a second year.